As product teams find product/market fit, as sales leaders maximize sales efficiency in distribution, and as customer success teams ensure usage and value for clients, finance is the leader in finding the levers in subscription business unit economics, capital efficiency, and cash flow in driving the business. 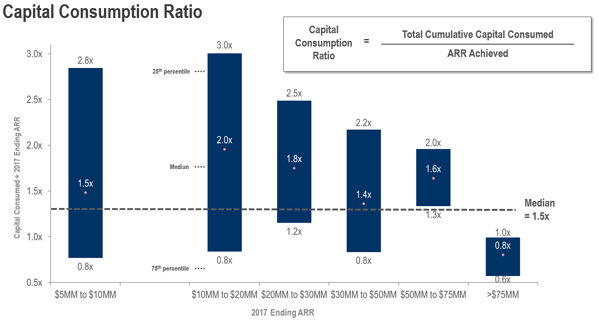 A fantastic set of SaaS metrics for SaaS CFOs and their teams on the path to IPO is the Key Bank Capital Markets Annual SaaS Survey (formerly the Pacific Crest Annual SaaS Survey) (which can be found here). While Key Bank Capital Markets team has found many great trends, four important takeaways for the finance team stand out to us. Sage Intacct just presented these themes in our Software Industry Keynote at Sage Intacct Advantage, our annual user conference, and have distilled them down here for your SaaS company. 3. In managing SaaS Unit Economics, up-sell is the key lever to profit. Looking at the information on these two charts, you’ll see the first one shows the median cost of up-sell is 53% ($0.71 on a $1 of revenue) and expansion is 28% ($.38 on a $1 of revenue) of the new business cost of $1.32 for a $1 of revenue. 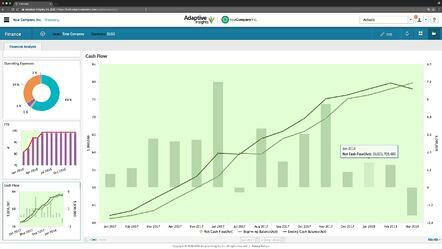 Now, take a look at when in a company’s lifecycle firms are engaging in upsells and expansions. This year, they broke the data out by revenue range to emphasize the difference across stages. 20% at the $5-$20M range is a great start, and reflects the investments that more and more SaaS companies are making in having one view of all their contractual subscription billings and obligations in order to drive the business. 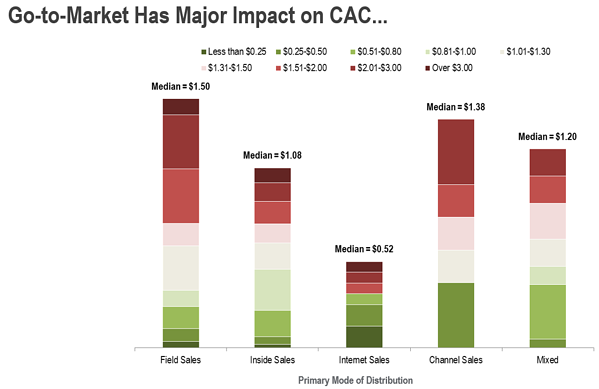 These next three charts highlight the major impact that Go-to-Market has on CAC. 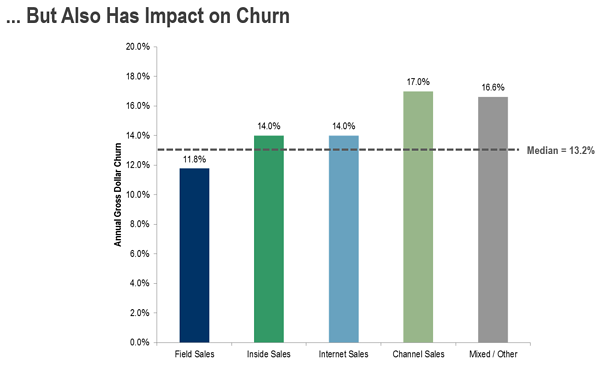 The differences between field sales and inside sales reflect the trade-offs between lower cost, ACV, and stickiness. 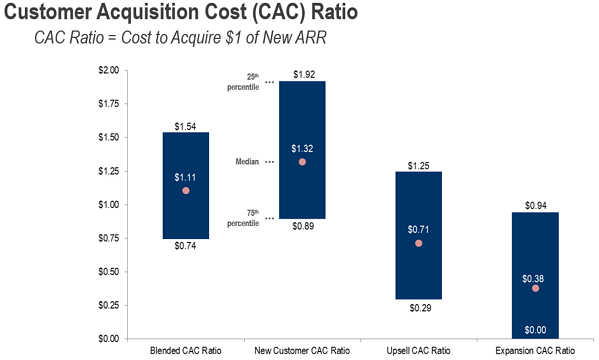 These four SaaS metrics that make successful SaaS business model architects pay attention to are important because they help CFOs and management teams see the forest from the trees when making decisions. There are lots of choices to make, but which will maximize capital consumption to drive the business model? Data is better than opinions. Metrics are better guides than who shouts the loudest in meetings. David Appel is the head of software and SaaS vertical at Sage Intacct. * This post originally appeared on the Sage Intacct blog.